Sugarsuckle began in Jennifer's home kitchen and with growing orders and business she purchased a retail space in Hoboken to create her beautiful deserts and have workshops & events. The welcoming work area at the center of our studio has a communal work table with seating up to 14. In addition to being a light-volume production space, the studio serves as a gathering space for various creative experiences. Sugarsuckle's classes and workshops inspire learning, designing, refining skills and honing craft. Most importantly, these offerings will allow the community to join one another at a table over a unique and refreshing experience. 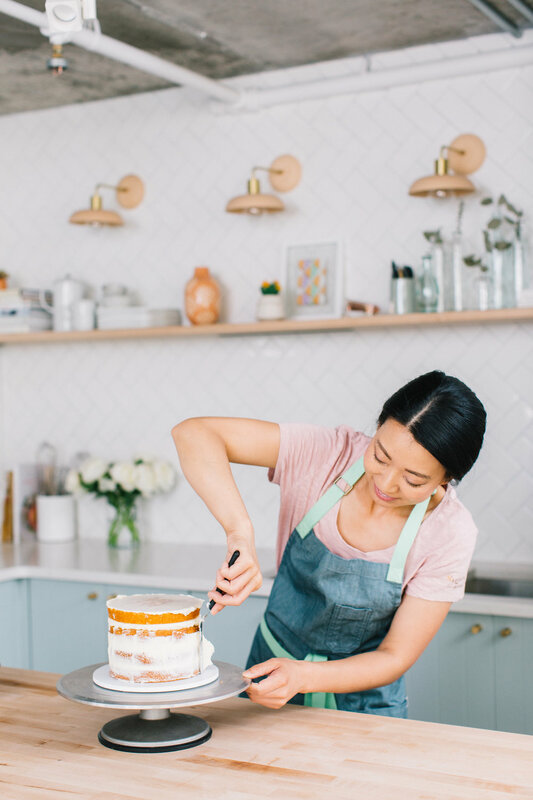 They are strong believers that baking can be both fun and calming, and we envision a space for everyone--whether they come to enjoy a playful moment, or to diligently hone their craft. 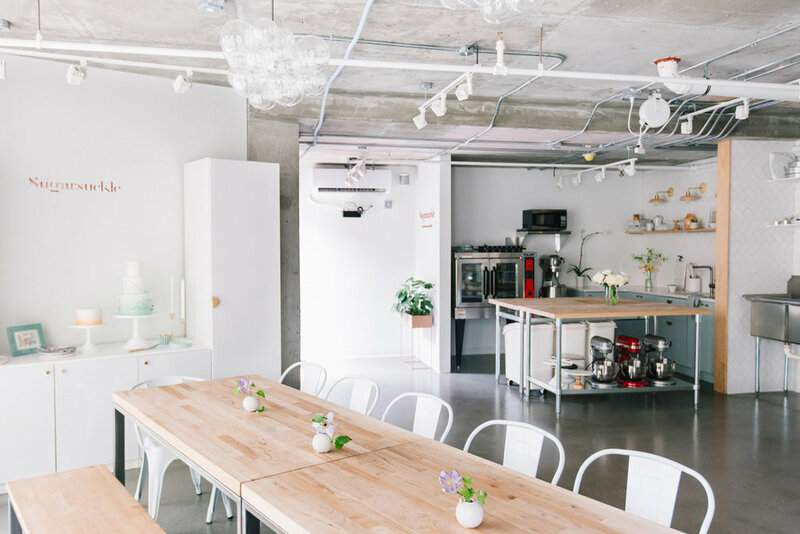 The kitchen area is both functional and accommodates different approches for Jennifer to teach her workshops. 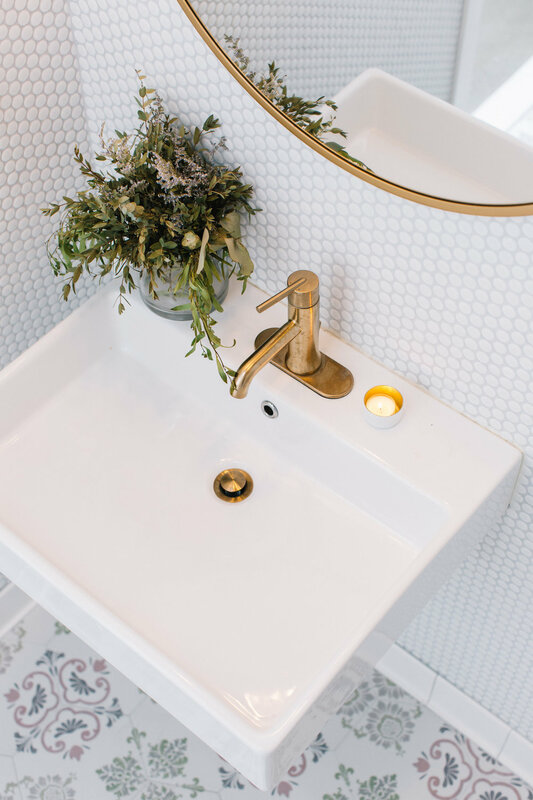 After all the details and selections we made for the space and Jennifer's accute attention to details and aesthetics, the restroom had to be just as thoughtful and beautiful.